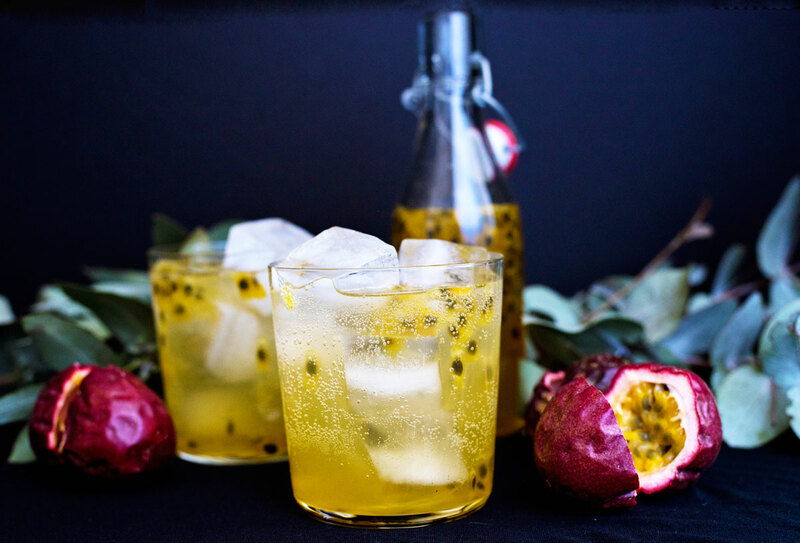 Passion fruit, or lilikoi, is a tart exotic fruit that is great on yogurt or ice cream, or even better made into passionfruit simple syrup for cocktails! I think a lot of people who read blogs wonder what the life of a blogger is like behind-the-scenes. We share small snippets of our personal life on the blog and on our social media channels (Instagram! ), but most of that is very stylized and selectively shared. Recently, I’ve started using Snapchat as another way to connect with all of you and I absolutely love it. It’s impossible to filter Snapchat – you can only post real time and there is no way edit photos or post ‘latergrams’. What you see is what you get. 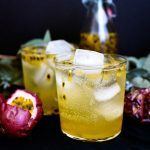 I’ve also started to share how I set up the shoots for photos like this passionfruit cocktail. I take short videos sharing step-by-step everything I think about and all the equipment I need when I am shooting a recipe. I’ve had a really great response from people who follow me on Snapchat about these little shares – from both people who blog and people who don’t. If you’re interested in seeing what I’m up to and what it’s really like to be a blogger, check me out on Snapchat at @asideofsweet. You can download the app in the Google Play Store or in the iTunes App Store. To add me, just go to ‘add friends–>add by username–>type in ‘asideofsweet’. 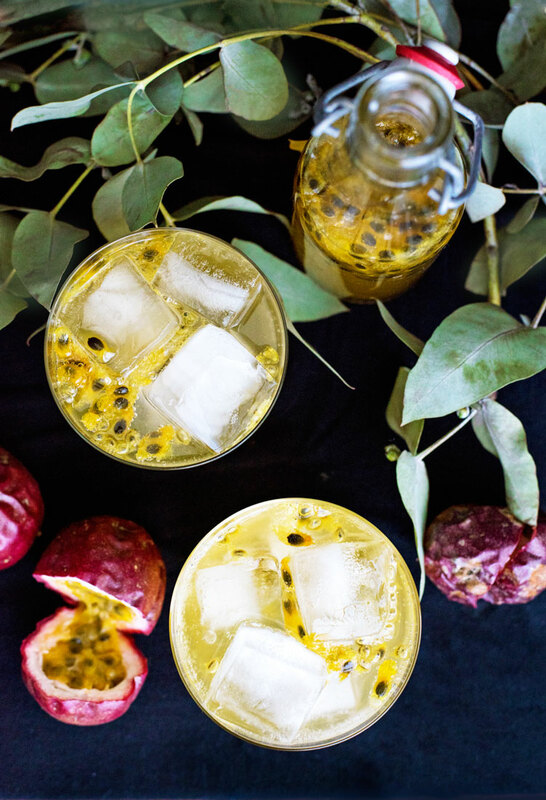 As for the recipe, passionfruit is a really special thing. I didn’t know this until this year, but it’s actually grown locally in California in a handful of farms. Getting it from my local farmer’s market was an unexpected treat. It’s growing season is about November to February, so don’t wait too long! 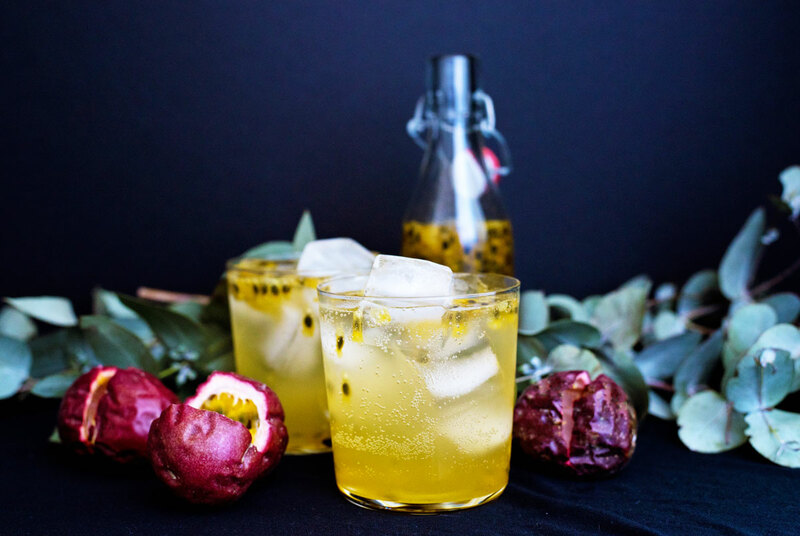 Passion fruit is great fresh on ice cream or yogurt, but today I made it into an easy passionfruit simple syrup. You can mix it with sparkling water for a great mocktail or add a splash of vodka for a more grown-up version. I love waiting until the passion fruit gets all wrinkly as that is when they taste their best. They are pretty hardy and can be stored in the fridge for a week or two before you use them. If you’re in the San Francisco area, I got my passion fruit from Stepladder Ranch using Good Eggs (an online farmer’s market that delivers to your door!). 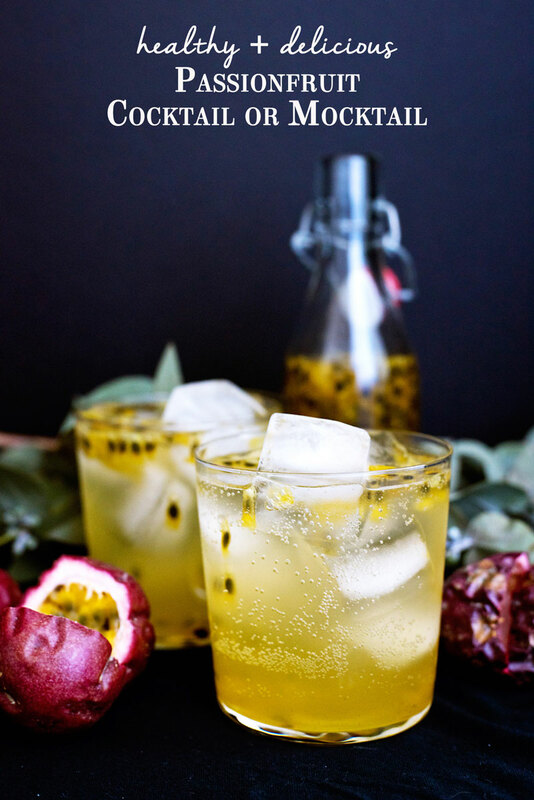 I just talked to Jack from Saddle Ranch (as in cold-called him on his cell phone which I found on the internet) to get all of this information on passion fruit and it sounds like they just dropped off a huge order to Good Eggs so you should be able to get some right now! Thanks so much for reading A Side of Sweet! 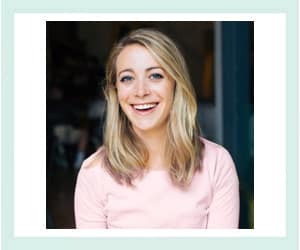 For more Sweet in your life, you can find me on Instagram, Pinterest, Facebook, YouTube, Bloglovin’, Snapchat (@asideofsweet), or Twitter, or subscribe to receive a weekly email with new posts (see sidebar). Heat the sugar and water in a small saucepan over medimedium-hight until the sugar is fully dissolved. Add the lemon and passionfruit and bring to a boil. As soon as the syrup is boiling, remove from heat and let cool. Fill two cocktail glasses with ice. Cover the bottom of each with about 2 tablespoons of passion fruit simple syrup. Fill to 2/3 full with soda water and also vodka if using. Stir and top with remaining passion fruit simple syrup. Wow – Kelly – this post I am seriously bookmarking. It is SO so so helpful, and neat to go behind the scenes with you. To be honest, I didn’t even THINK that you do not need the spirit in the recipe. Plus, the freezing point of alcohol is so much colder than water’s so in turn, it will make the ice melt faster. I also love the dimension of the ice on top of the glass. All your tips were phenomenal. This was soooo so so helpful, especially as a new blogger, seeing how you set things up. Your photos are seriously so stunning. And this drink!!! So pretty & delicious. Absolutely love the texture and colours of it – I already KNOW this will be super tasty with or without the added vodka! I feel like it is something Liholiho or Palm House (if you haven’t been, their cocktails are incredible!!) would serve! Shannon that is so sweet and so great to hear! I agree, this would be right at home at Palm House. I haven’t been to Liholiho yet but I’ve heard amazing things and it’s at the top of my SF list! Miranda you HAVE to join Snapchat! I have so much fun with it and it’s so much lower pressure than Instagram. I also love following my friends – it takes creeping to the next level! 🙂 Let me know if you join! Hooray! I had fun making it so that’s great to hear! Thanks!